As Jamaica, Queens continues to grow and evolve, opportunities to showcase the district’s local talents while also enhancing public spaces abound. 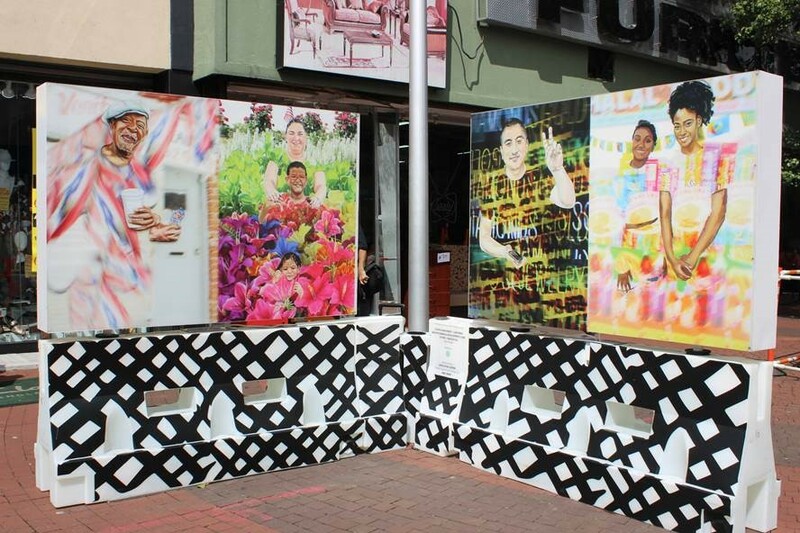 To support this effort, the Greater Jamaica Development Corporation (GJDC) engaged Totem to create a unique public art and lighting installation for the busy 165th Street pedestrian mall. Our design for a pop-up digital art wall elevates the common Jersey barrier to incorporate lighting and local art, effectively creating a roaming public art gallery that will feature a rotating line-up of artists, the first of which is Queens-based Jocelyn M. Goode of CultureCocoa ArtHouse.